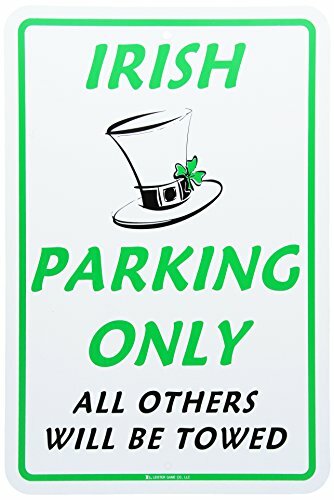 Who else would be allowed to park but the Irish? The world turns green soon! Irish Parking Only plastic sign All Others Will Be towed.This product speaks for itself.